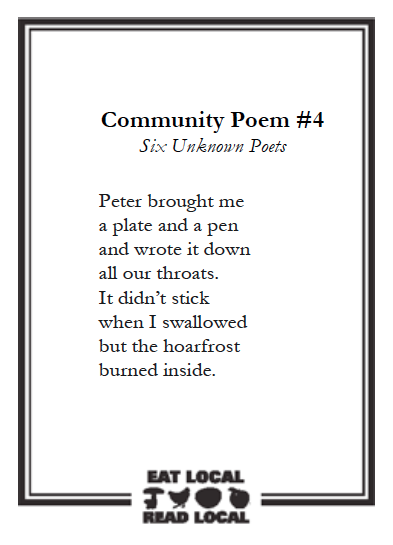 We’re pleased to announce an exciting community feature of our program — the Community Poets Gallery. 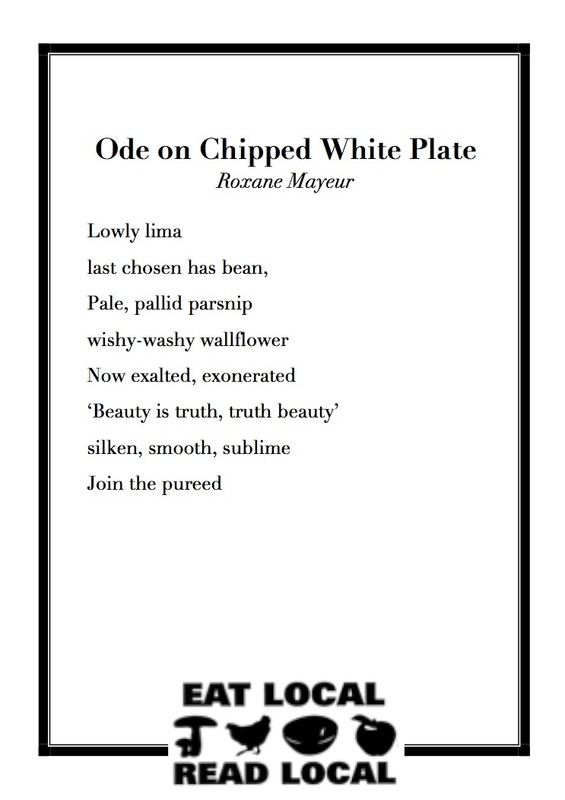 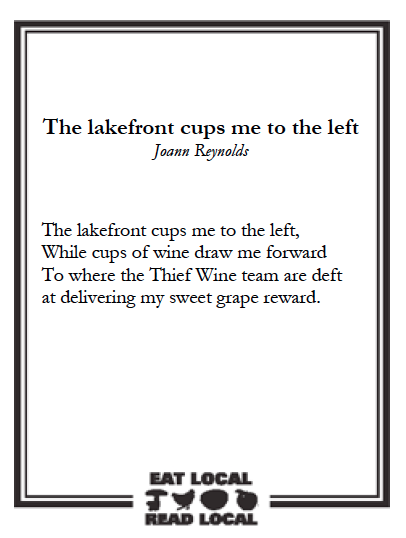 In addition to printed poems, participating restaurants distribute Community Poem Prompt cards that encourage diners to write poems in response to their meals. 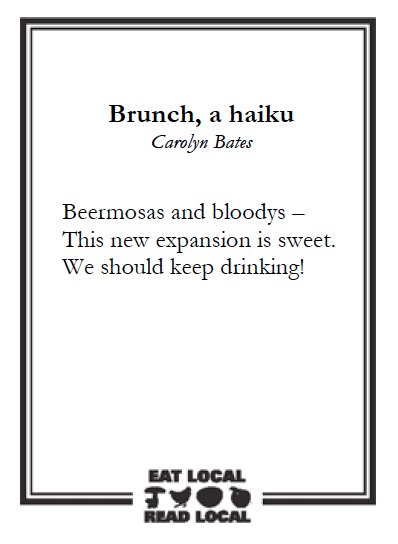 The poems featured on this page represent some of our favorite community responses.